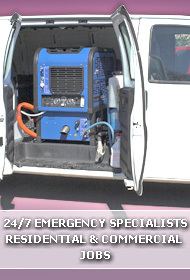 Oakland Water Damage Restoration is here for you in your time of need. No matter how much you try to plan and prepare for everything in life, sometimes life might surprises you. There are different levels of this obviously and unfortunately, some of those unexpected events can turn in to very complicated situation, which are difficult to deal with. 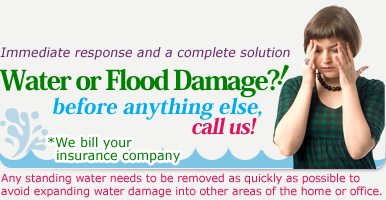 The good news is that Oakland Water Damage Restoration offers service which can dramatically help you. Especially hen unexpected water and flood damage victimize you and require immediate attention. Our experts do not wait around; we come immediately to your home to ensure that we salvage as much as of your possession is humanely possible. And you would be surprised how much can be salvaged. With home Restoration we extract most of the excess. Then we dry the carpets and furniture, using blowers and fans. As the final step, and to prevent further damage we have a special mold and mildew treatment service. Water Damage Restoration Oakland will come and help immediately, ensuring that ultimately there will be no damage to your property. Even if you have just experienced a small problem like a sink overflowing, We have the sophisticated equipment and expertise to guarantee the highest level of cleaning performance and protection for your property and furnishings. So we pretty much cover every area. It may initially look like all is lost, but this is not the case and our experts have seen it all. However bad it looks to you, don't worry - we've probably seen it all and then some, and a whole lot worse. Just let us take care of this for you. Call UCM Services Oakland today at 510-999-8920 for a free estimate - a price that will not change once we have committed to it, no matter how long it takes us to restore your home to its original glory.